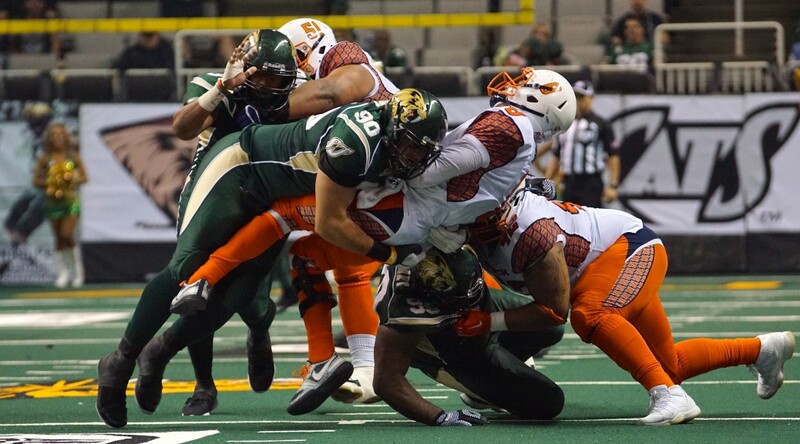 SPOKANE, Wash. – The San Jose SaberCats (13-1) scored 42 straight points to defeat the Spokane Shock (4-9) 62-27, Friday night at the Spokane Veteran’s Memorial Arena. 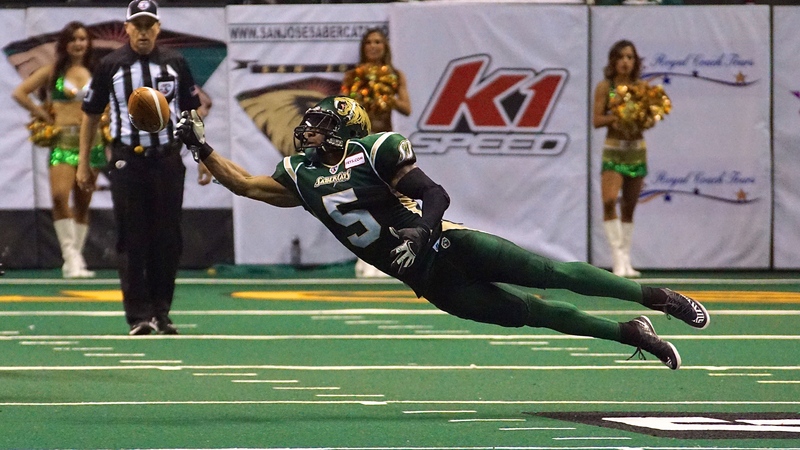 Behind the efforts of defensive back Ken Fontenette, the SaberCats jumped out to an early 14-0 lead in the first quarter. Fontenette recovered an Arvell Nelson fumble, leading to a 15-yard touchdown pass from Erik Meyer to Reggie Gray. On the ensuing drive, Fontenette broke up a pass in the end zone on fourth down, intended for Jabin Sambrano, allowing for Meyer and the SaberCats’ offense to take over. Meyer found Gray again, this time on a four-yard touchdown pass. One of the leading quarterbacks in the Arena Football League, Meyer completed an efficient 26-of-34 passes for 277 yards and seven touchdowns against his former team. Spokane got on the board to open the second quarter, when Nick Truesdell made a one-handed catch in the back corner of the end zone, as the Shock cut the SaberCats lead to 14-7 with 13:46 left in the first half. 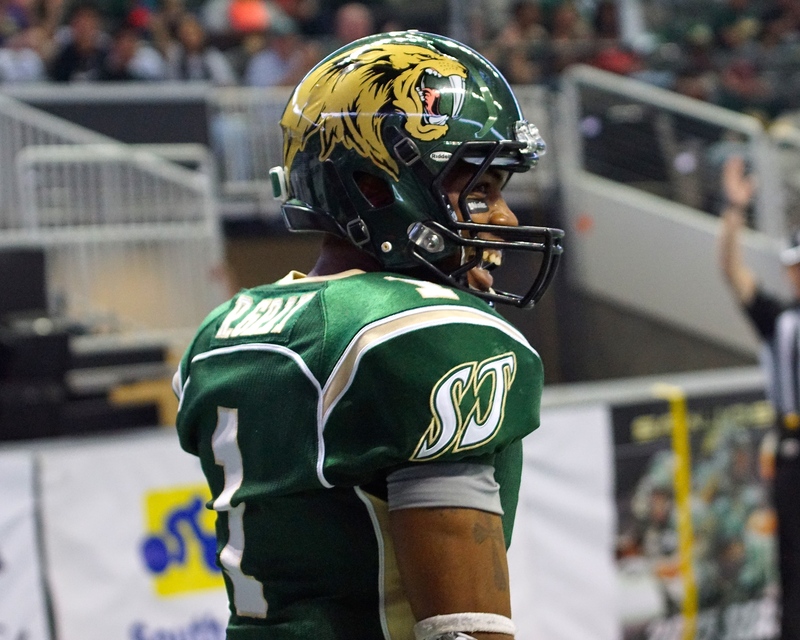 Late in the second quarter, Spokane tied the game 20-20 on a fumble recovery for a touchdown, while San Jose scored on a 14-yard touchdown reception by Jeremy Kelley, as well as a five-yard touchdown reception by Ben Nelson, as the SaberCats held a 27-20 advantage over the Shock at halftime. Nelson, a seven year veteran, grabbed 10 receptions for 91 yards and touchdown. 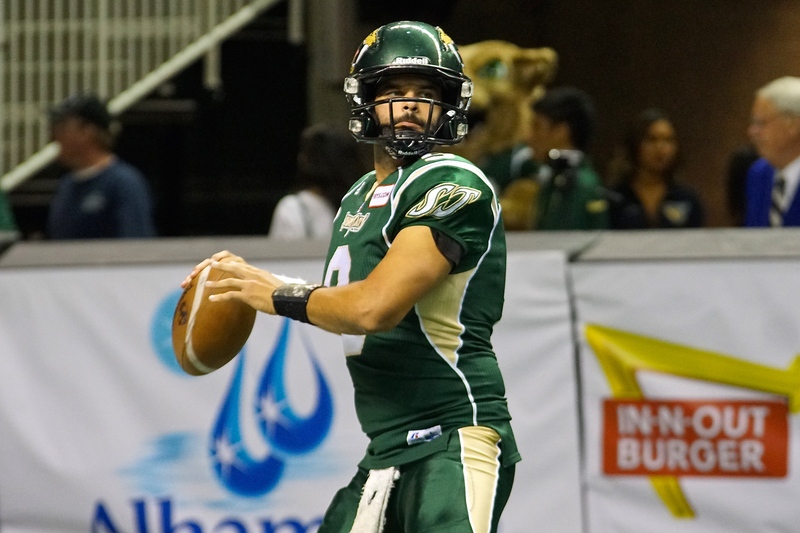 The SaberCats opened the second half with a 14-yard touchdown pass from Meyer to Reynolds. San Jose continued to control the momentum, as David Hyland recovered the ensuing kickoff, which bounced off the cross bar. Taking over on possession, Reggie Gray capitalized on an 11-yard touchdown in the corner of the end zone, getting one foot in bounds as the play was reviewed by the officials and confirmed the touchdown reception. 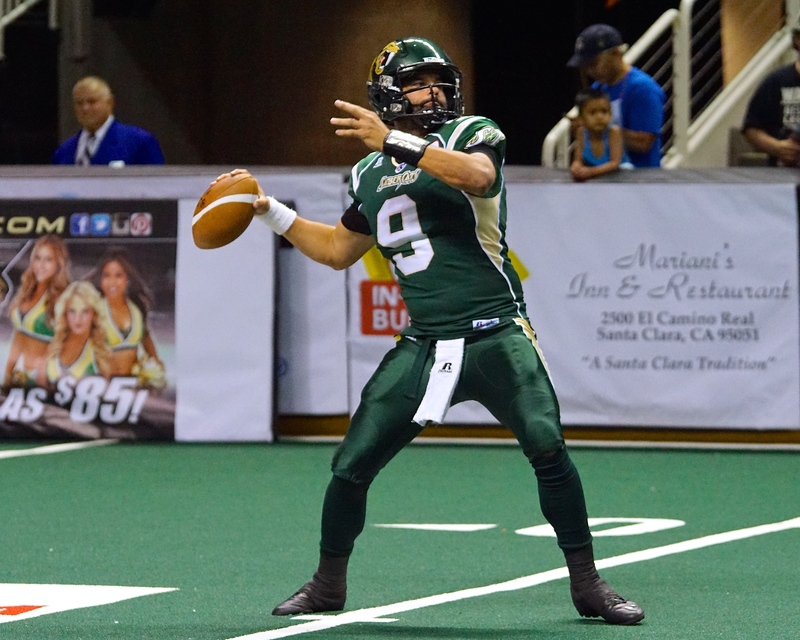 Continuing to score in the third quarter, Meyer added a 15-yard quarterback run; pump faking as he found pay dirt, extending the SaberCats lead to 48-20 in the third quarter. Gray had a game-high 14 receptions for 154 yards and four touchdowns, continuing to be among the league leaders with 33 touchdown receptions. Shock quarterback Carson Coffman threw for two touchdowns before leaving the game in the second half with an injury. Arvell Nelson took over under center, but was unable to find success against the SaberCats’ defense. The best defense in the league responded with great coverage in the secondary, allowing Francis Maka recorded back-to-back sacks of Nelson, bringing his total to 10 sacks on the season. 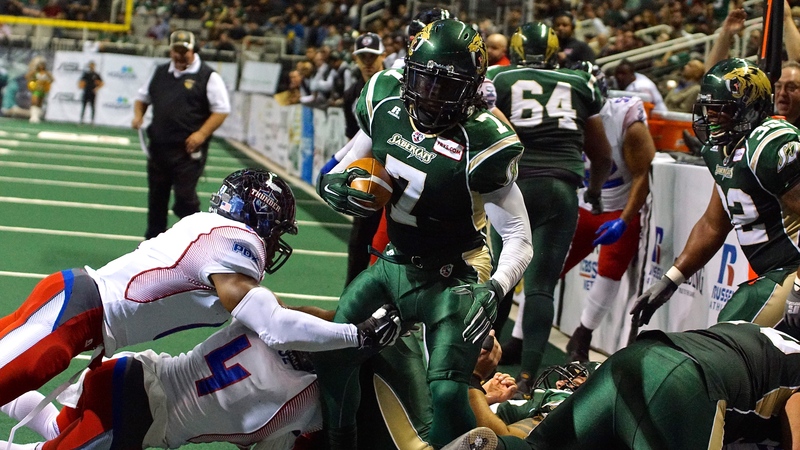 Leading the Arena Football League in tackles, Fontenette added seven more to his total of 105.5 tackles on the season. 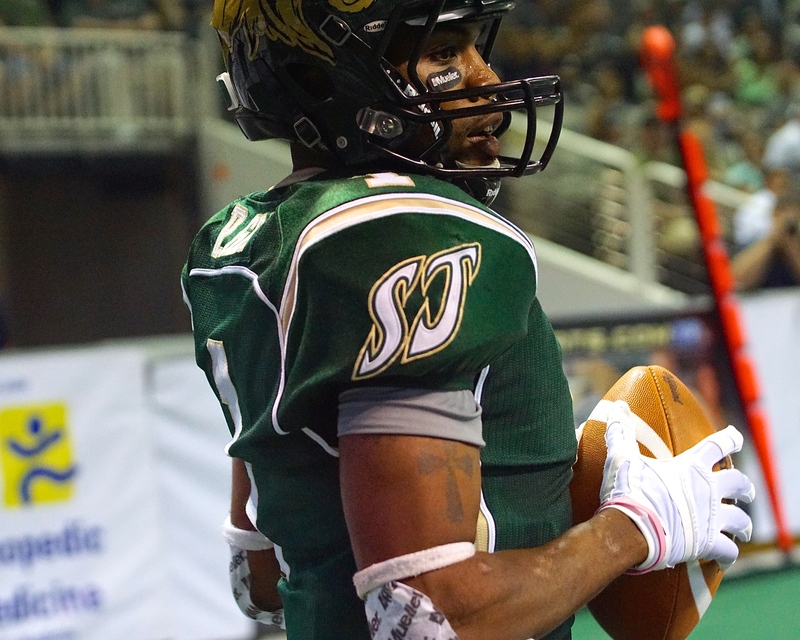 With two interceptions last week, defensive back Fredrick Obi followed the Maka sacks by drifting into the end zone, grabbing the interception, giving the SaberCats’ offense an opportunity with good field position to start the fourth quarter. For the second-straight week Obi led San Jose nine tackles. Recording his fifth touchdown of the season, offensive lineman Rich Ranglin scored on the 19-yard reception, as San Jose scored 25 unanswered points to 55-20. 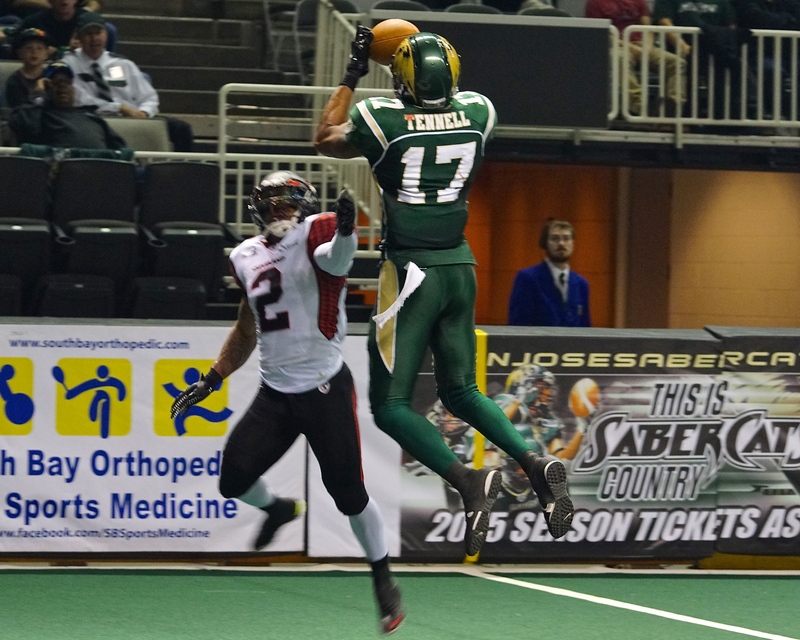 The Shock scored with under a minute remaining on a nine-yard touchdown pass from Nelson to Truesdell, cutting the SaberCats’ lead to, 62-27. Truesdell led Spokane with 12 receptions for 99 yards and two touchdowns. 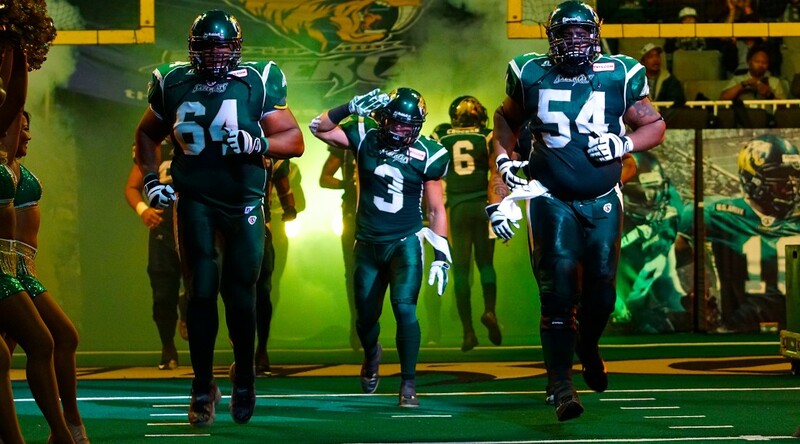 The SaberCats will return from the 4th of July bye week to host the New Orleans VooDoo on Friday, July 10th at the SAP Center, with the game televised live on ESPN2.